This is the summary of consumer reviews for HDMI Pocket Projector from Brookstone. The BoolPool rating for this product is Very Good, with 4.30 stars, and the price range is $239.99-$299.99. 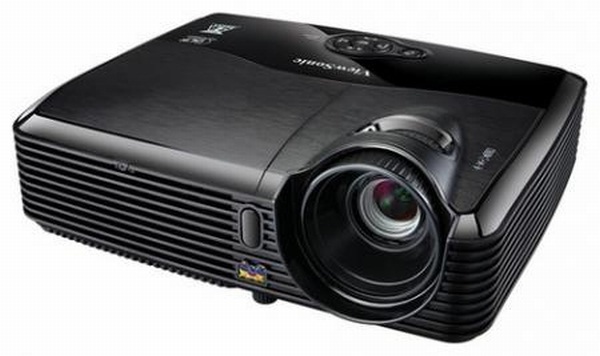 The HDMI Pocket Projector from Brookstone is a 85 lumens mobile projector that projects up to a 80" diagonal image for movies, videos, presentations, and games. It is compact, lightweight and comes with rechargeable battery. 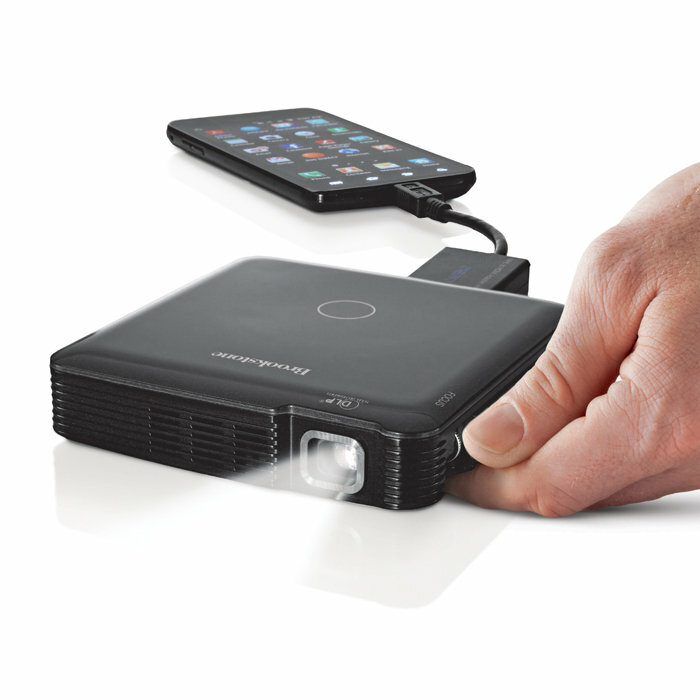 This little projector can enable you to give great presentations on the road. It is very easy to setup and use with almost any Smartphone, tablet or laptop. 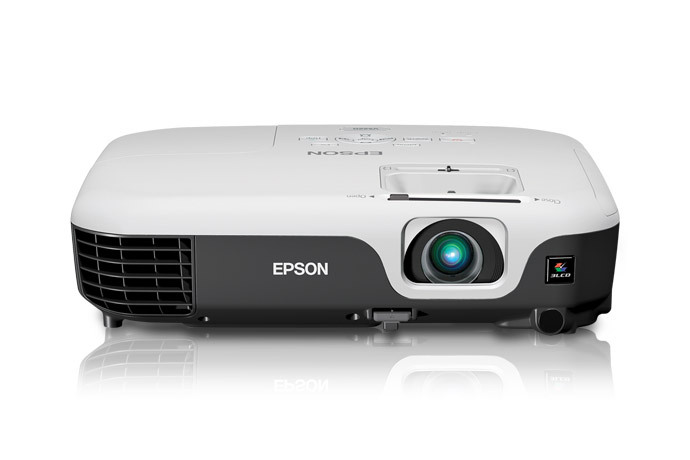 Perfect for sudden business presentations or movie nights, this easy to handle projector comes with great sound quality from dual built-in speakers. It accepts 1080p and 1080i video input. A built-in focus control wheel helps in controlling the display for optimum resolution. However, this HDMI Pocket Projector does not come with a remote and also some user reviews mention that it is little noisy. 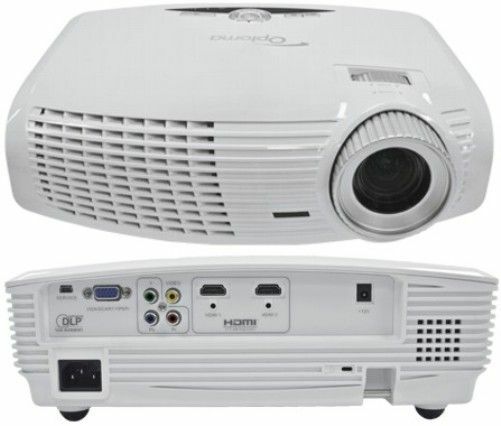 Overall, the HDMI Pocket Projector from Brookstone is an excellent mobile projector that comes with a full-size HDMI port, HDMI cable and adapters. 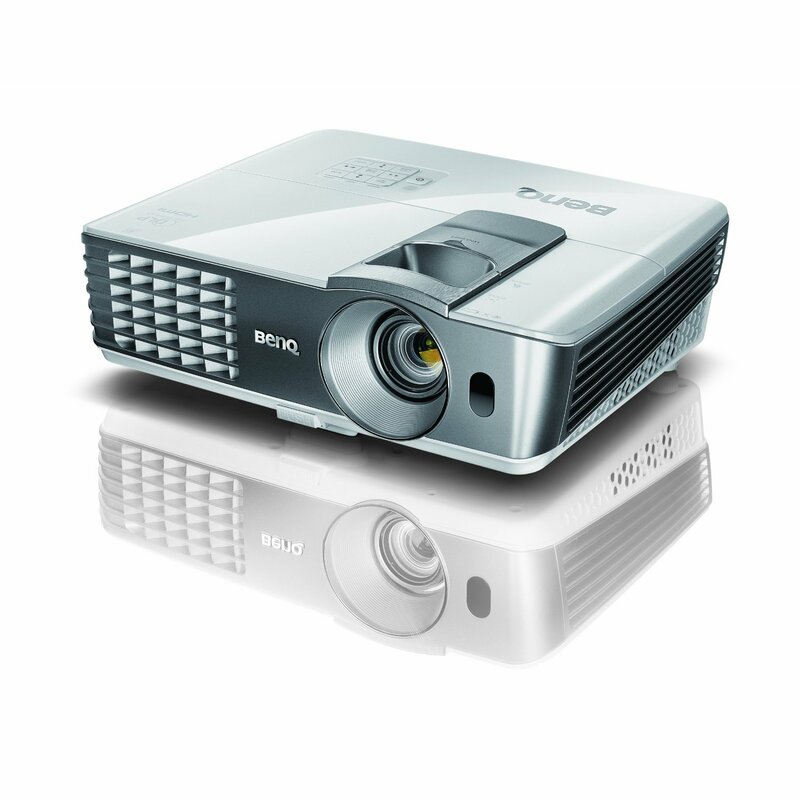 This compact and lightweight projector makes it much more convenient to present from your mobile device. This's a perfect travel meeting gadget. The quality of image is perfect. 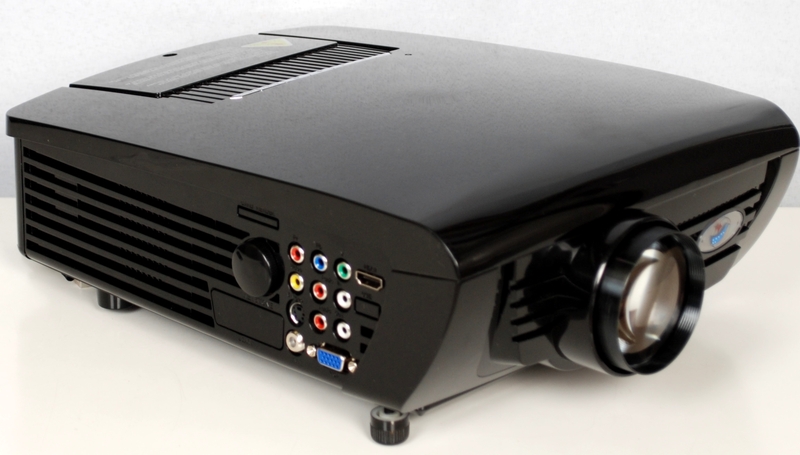 This small, portable projector is perfect for the small office environment. small, lightweight and with excellent image quality!!! I love my repackaged portable projector ;) I'll leave it on for hours a day. Went back to a different portable projector. And it's perfect when you need to give business presentations... you don't need you clients to have tech offices... just a white wall!!!!. Brookstone has some really cool gadgets. It also produces an amazing amount of light and is visible in a fairly bright room. To much light will bleed the picture out so using int in a controlled light environment is best. At 120 inches the image is still perfectly viewable and pretty dang impressive with all the lights off except for a dim light in the kitchen. The only negative is that the room needs to be fairly dark to see the images well as the intesity of the light isn't great enough to overcome much background light. i play mostly in the dark so it fine, but i can see quite well in dim light. 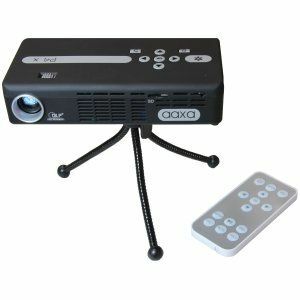 Very small size and light weight projector with an excellent qualyty and resolution in the image. 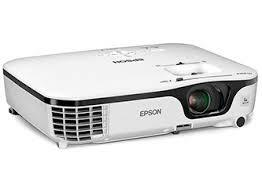 It appears to be a nice projector in very low light but not good for day time use. My father got this as a christmas gift for me. In short (Light, Portable, and Amazing quality at 1080p). 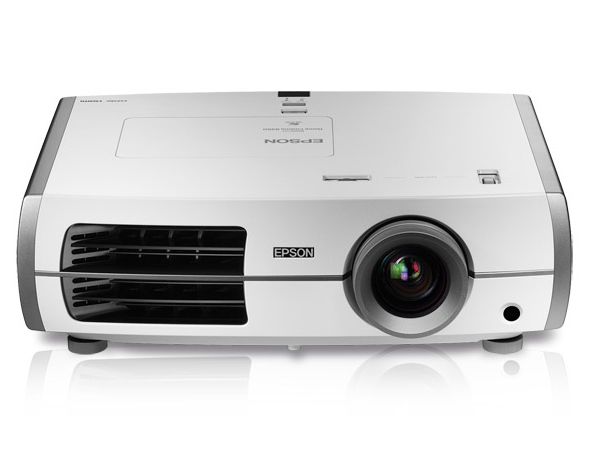 Make sure your viewing space is completely projector ready before judging, all lights off, and adjusted focus with right distance. surprising the speaker is loud enough in quite room. It isn't bright enough to see unless you've the room dark. The sound is only adequate for a small room or a quiet meeting room, but it won't be loud enough to overcome excited, talkative children. But provided you've a slightly dark room, the image is amazin and you can get a pretty big screen without any trouble. Bought this for power point in a small room with about 10 people. The room has to be pretty dark for the picture to look its 1080p best. The speaker is ok. But, I connect it to a small speaker that's a better sound quality. I thought that with 85 lumens, it'd be good for a dim or dark room with just adequate resolution and display. The speakers are actually fine, for a presentation type of stetting of for showing short clips with audio from a presentation to a room full of people. It means you need to have a dark room to view powerpoint type of presenations. Good picture quality given its size. No problem with the picture quality or brightness. Most suprising is how bright the picture is. Also, the sound and picture quality are awesome! The picture quality is great and very bright for such a little unit. perfect size, nice picture for business use, easy to handle in laptop case , , , , , , ,. I noticed that before the video streamer hits the home screen it showed its picture quality. Like the product description claims, this one really is capable of a bright 60-inch 1080 HD picture for movies, games and presentations. Pictures are very clear and sharp. I was prepared for the lower picture quality and sound quality, but that's the tradeoff for the size and convenience of this device. This little item feels like quality, at least more quality than I was expecting for the price. bought this unit to work with my iPad and iPhone for work presentations. Netflix won't work, Amazon instant won't work, iTunes won't work! Works very well..even has sound. It works OK with lights on. Even works well (but not as good) in soft lighting areas. The projector works on my Droid, and with a Display port to hdmi cable, it works on my HP Laptop. Other than that it seems to work fine. The image quality is great for entertainment use and it works fine on my wall.